A pair of pear shapes 0.20ct. 0.10ct Fancy Grey Violet Pear shape, Size: 3.54x2.61x1.77mm. 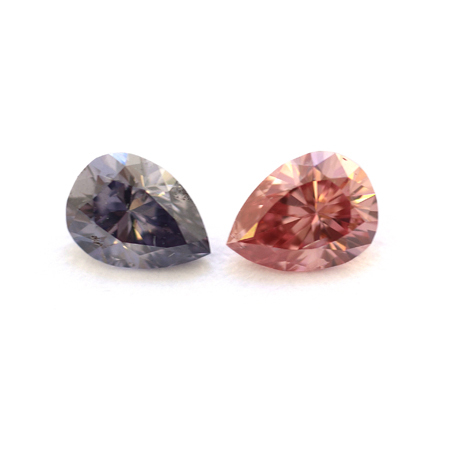 0.10ct Fancy Intense Pink, Size: 3.61x2.68x1.69mm.